How has your week been so far? 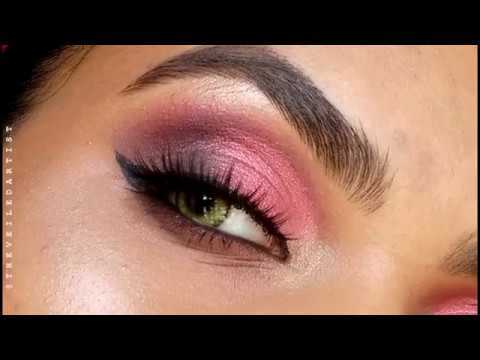 I want to start off by thanking all of you for all the love I received on my last tutorial where I recreated Selena Gomez's 2018 Met Gala makeup look! I had so much fun recreating it as well, so if you have any Celeb makeup looks that you want me to recreate, definitely let me know in the comments below or even on Instagram! So! 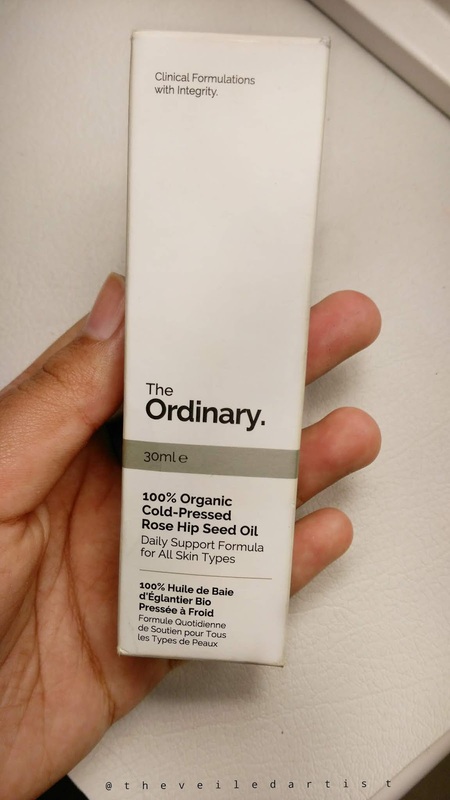 Today I decided to review the Rose hip seed oil from The Ordinary as I have been using it on and off since December last year, so let's get started! A pure blend of cold-pressed and organic rose hip oil which hydrates and supports healthy skin. Rich in vitamins, antioxidants, and essential fatty acids, rose hip oil is renowned for its anti-inflammatory and regenerative properties. This silky oil helps to calm redness, hydrate dry skin, treat scars and burns, brighten skin, and regenerate damaged tissue. Rosehip - A naturally sourced hydrating oil, rich in Vitamins E and C, and fatty acids. *you can read more about how this product was manufactured etc. on the ordinary website here. 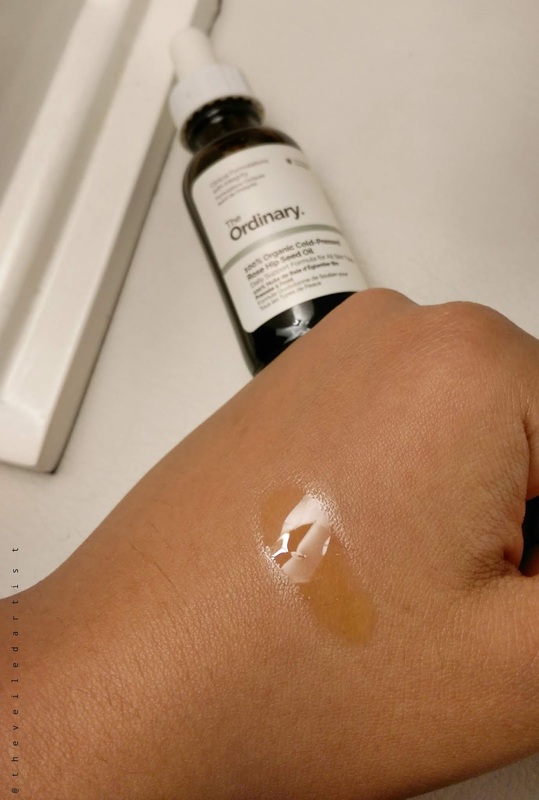 I purchased this oil from beautybay and it cost me $12 for 30mls of product which is so super affordable considering the prices of other similar oils available in the market. 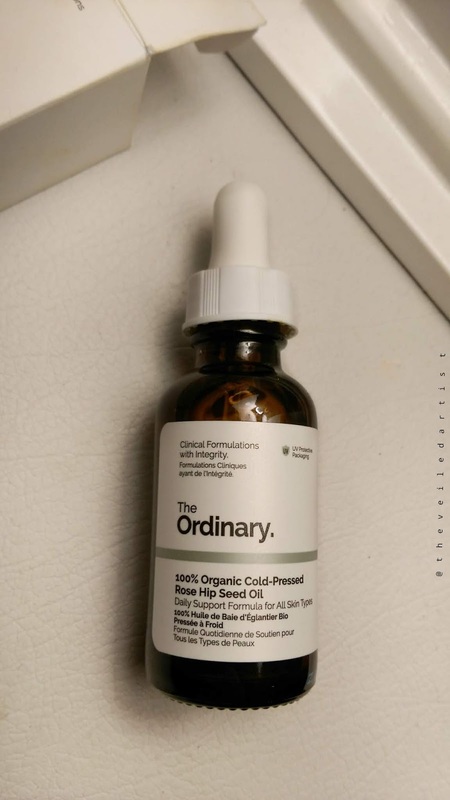 This oil comes packaged in a dark glass bottle and on the website The Ordinary says that this is so that the product is not affected by UV rays which may change the formula. 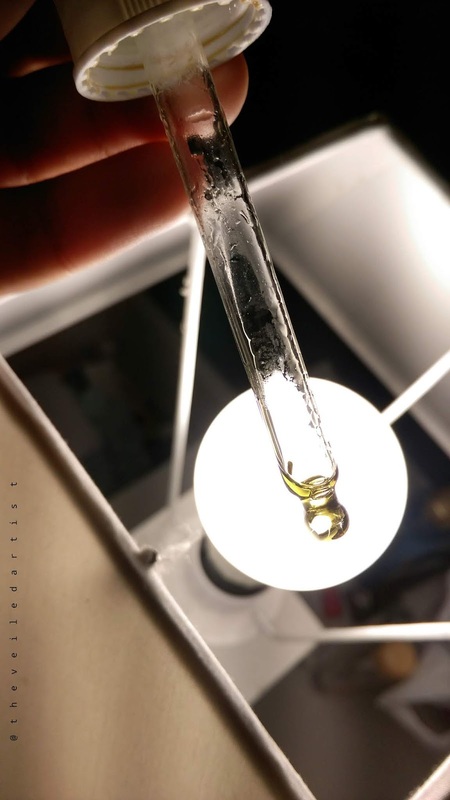 It also comes with a beautiful glass dropper which I guarantee will make you feel extra cool when applying the product haha but it also allows you to dispense the exact amount of product you need! The lid of this bottle, which is what the dropper is attached to, shuts very securely but since the bottle is entirely made of glass, I would not recommend that you travel with it unless you can pack it safely. I'm going to start this off by saying I love this product you guys!! The oil is what most people would describe as a dry oil, meaning that it absorbs very quickly into the skin and does not leave behind the dreaded greasy residue. I have normal to oily skin and love how quickly my skin absorbs this and how my skin feels perfectly moisturized afterwards but if you have dry to very dry skin, you will have to use this as your morning moisturizer because it isn't rich enough to be used at night. 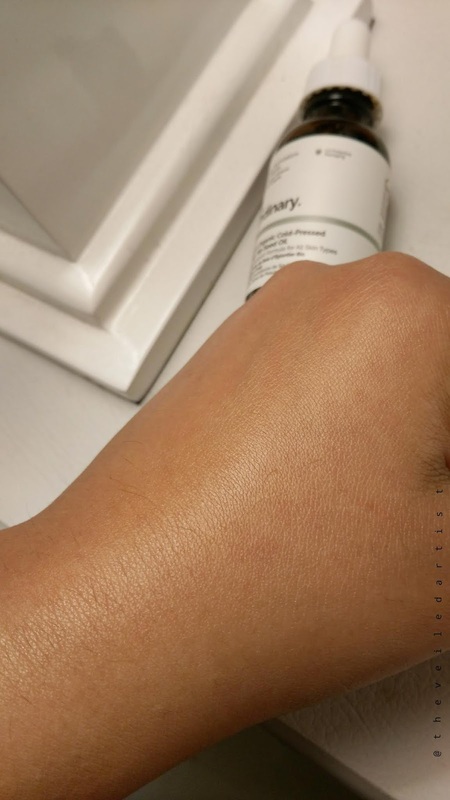 Even though there are many claims as to how this product will brighten skin and fade scars, I did not notice any significant change or improvement in my skin during the one and half months that I was using this, religiously! But then again, I guess like with every organic product, you need to keep using it for at least 4-6 months to see dramatic results. The one thing that you NEED to know about this oil is how it smells. 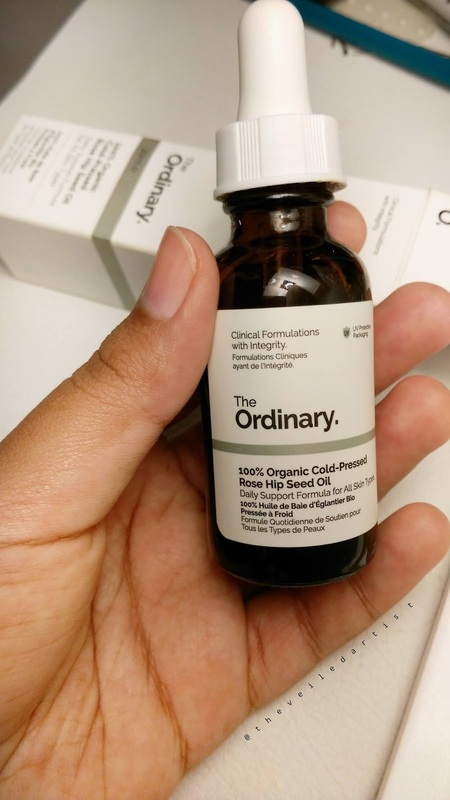 It has a very strong almost herbal-y scent and this is due to the high omega fatty acid content, according to the Ordinary. That is the only reason that I do not use this oil as much as I would like to because even though I quite enjoy the scent and find it relaxing, everyone else at home seem to hate it haha. Because I use a few drops of this oil at night and in the morning I am glowing like a freshly bloomed flower but the scent transfers to my pillow and sheets and then my whole room smells, 'old lady like' haha. But if you can get over the scent, it is a beautiful product that you can even mix a few drops of into your foundation to sheer it out! Like I said previously, if you do not mind the scent, you should 100% give this a shot guys! It's a beautiful product with an equally beautiful price tag haha. 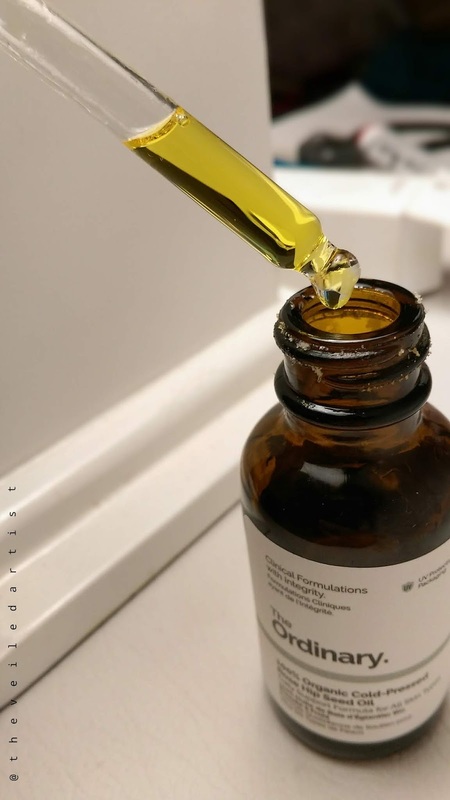 It is also cruelty free and completely organic so you do not have to worry about any side effects that may come about from using this Rose Hip Seed Oil long term! Thank you so much for reading my loves and I hope you found this review helpful. You can check my last post here. I recreated the glittery makeup look Selena Gomez wore to the 2018 Met Gala. I am thinking about recreating Hailey Baldwin's super simple, pretty pink look for my next tutorial so stay tuned for that!